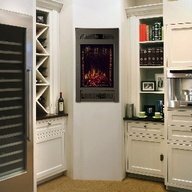 Electric fireplaces are gaining popularity among Long Island homeowners and renters alike.  The appeal of a safe and economically sound heating option is one that many cannot pass up. Without the hassle of an install, you can be up and running almost immediately. Pick the right spot, plug in the unit and you’re ready to go. These fireplaces offer the warmth of traditional fireplaces, but afford the operator the ability to control temperatures remotely. Furthermore, while traditional fireplaces can be expensive, electric fireplaces offer the beauty of a built- in fireplace without the high price tag. The savings you will incur due to a lower heating bill may even help you improve your quality of life. The idea of a free-burning fire is one that many find a bit scary. This is particularly true among consumers with children or pets. The safety of the electric fireplace makes is particularly appealing for entire families to gather around the fireplace for quality time. With availability in various styles, electric fireplaces are great for those looking to spruce up their home decor without the commitment installing a traditional fireplace. This is especially beneficial for Long Island renters in who don’t have the option of permanently altering their homes. They can virtually fit into any space. Depending on the size, electric stoves have the ability to warm an entire home. Additionally, electric fireplaces require little to no upkeep in contrast to wood burning and gas fireplaces They also don’t require a chimney like many other fireplace types. For many consumers, these units are becoming the go-to alternative to traditional wood burning fireplaces. Whether you live and a multi-floor home or a cozy condo, you’ll have no trouble finding the right fireplace for your needs If you are looking to purchase an electric fireplace in Long Island, The Fireplace Factory offers an array of options that boast both form and function.